With its mysterious grey brick façade and black exterior, the Dakota Hotel is an alluring hotel for the people of Glasgow and its visitors, which stands out amongst the concrete buildings that surround it. 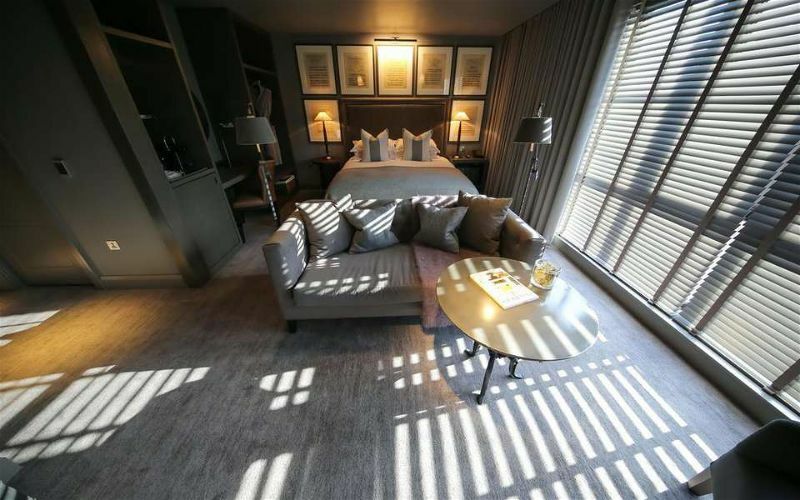 Just off of Glasgow’s prestigious Blythswood Square, the Dakota Deluxe Hotel Glasgow is nothing short of perfection. 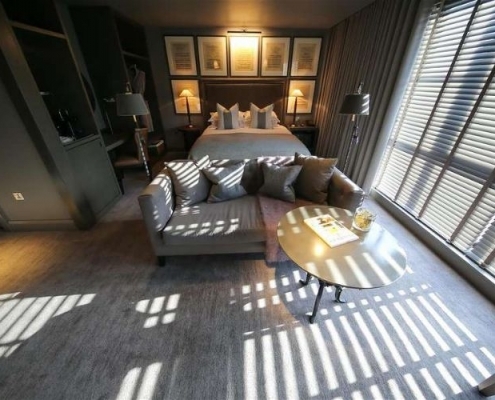 From the moment you step out of the car and are greeted by the hotel doorman, until the moment you leave, the Dakota Deluxe Hotel Glasgow has everything you would expect from a luxury hotel, and more. Spread across five fantastic floors are the 83 luxurious rooms of the Dakota Deluxe Hotel Glasgow. 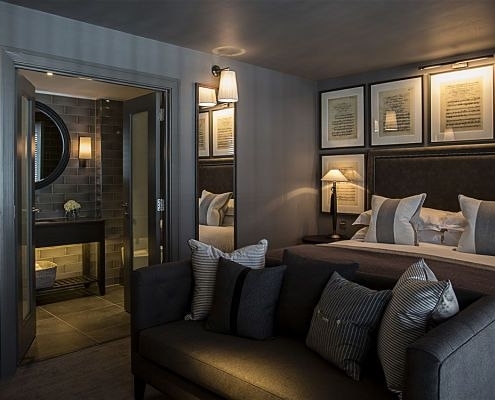 With sleek interiors, a calming grey colour scheme and a slight masculine edge, the Dakota Hotel provides an aura of peace and calm. Dim lighting and plush furnishings fill each room, creating an environment that will make you feel completely at ease. 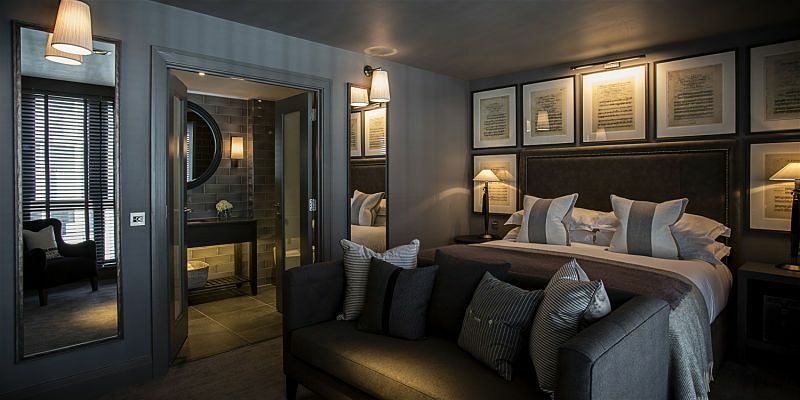 Guests should envisage monsoon showers, sumptuous king-sized beds, blackout blinds and bespoke toiletries to feature in their room. The Signature Suite boasts an elegant deluxe bathroom with a luxury roll-top bathtub and signature Dakota bathrobes and slippers so that guests can relax after a long day. Those looking for that something extra can revel in the hotel’s most lavish room; the Grand Deluxe Suite. Off from the spacious bedroom, guests can find a luxurious bathroom and separate lounge and dining area. With its very own Nespresso machine and chocolate evening turndown, guests can start and finish their day in the right way. Although Glasgow is renowned for its excellent food scene, the weather does not always permit guests to go out and explore it. Guests can take cover from Glasgow’s notorious rain by dining at The Grill in the Dakota Deluxe Hotel Glasgow. 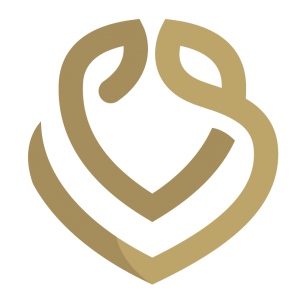 The restaurant features an extensive A La Carte menu, where guests will find top-class dishes from across the world such as comforting French onion soup, succulent sashimi, and a locally sourced fresh seafood platter. 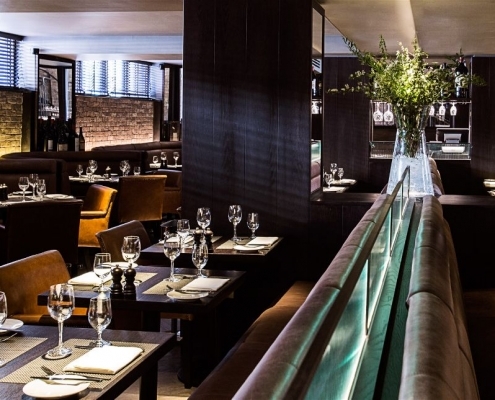 The head chef at the Dakota Deluxe Hotel Glasgow trained with world-famous chef Rick Stein and delivers simplistic yet elegant cuisine. Following this, guests can bask in the hotel’s glamour of the Champagne Room, which offers an abundance of style and character. With a wide selection of fine champagnes, there is something to accommodate everyone’s tastes. Located in Glasgow’s city centre, the Dakota Deluxe Hotel is the perfect place to hold important business meetings or other exclusive events. The hotel offers The Boardroom, which provides state-of-the-art equipment and immaculate table service to ensure that all guests are catered for. The Boardroom space can also be used for a premium dining experience. Seating up to 10 people, guests can enjoy the best seat in the house, matched with exquisite cuisine and exceptional service. Guests of the Dakota Deluxe Hotel Glasgow never forget their stay and always want to return in the future.